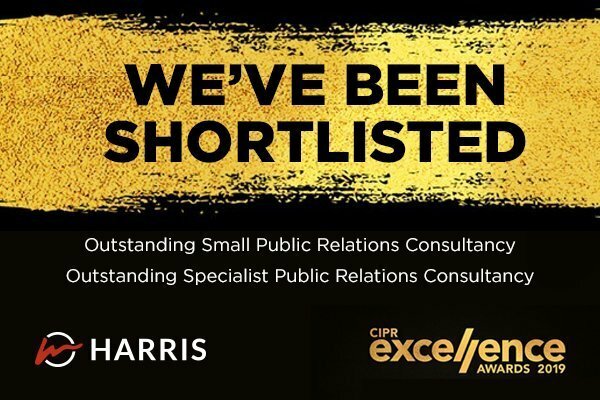 We’ve had a great start to 2019, having been shortlisted for not one but two CIPR Excellence Awards: Outstanding Small Public Relations Consultancy and Outstanding Specialist Public Relations Consultancy. Our place in the Outstanding Small Public Relations Consultancy follows our win last year under the same title at the CIPR Yorkshire and Lincolnshire PRide Awards, and we’re proud to be recognised amongst other high achieving agencies from across the country. It recognises a busy and rewarding 12 months for us including gaining six new clients and a number of successful campaigns. Being shortlisted in the Outstanding Specialist Public Relations Consultancy category also reflects our position as a highly established construction marketing specialist, and the work we do to ensure full client satisfaction – as shown in our client case studies. We’re delighted to have been recognised once again for our work, and we can’t wait to update you on how we do at the awards.